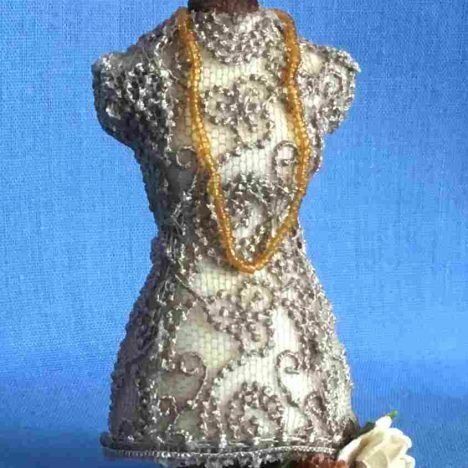 Lace Jabot for a lady. 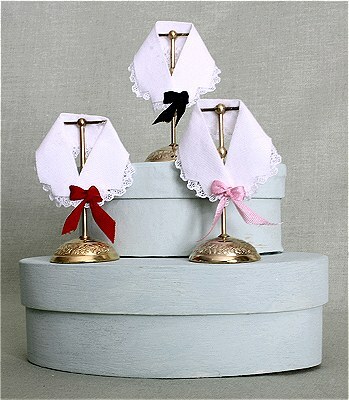 Black silk ribbon on a brass hand made stand. Suitable for a shop setting. 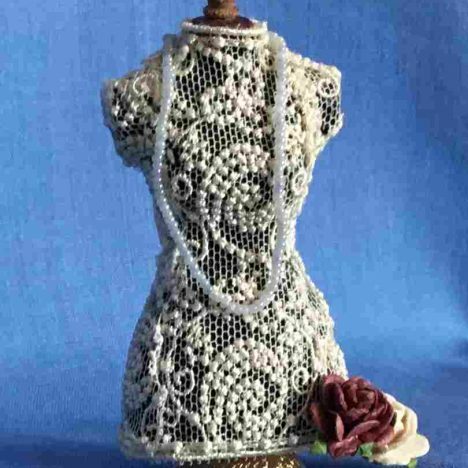 Cream Lace Half Body Mannequin.